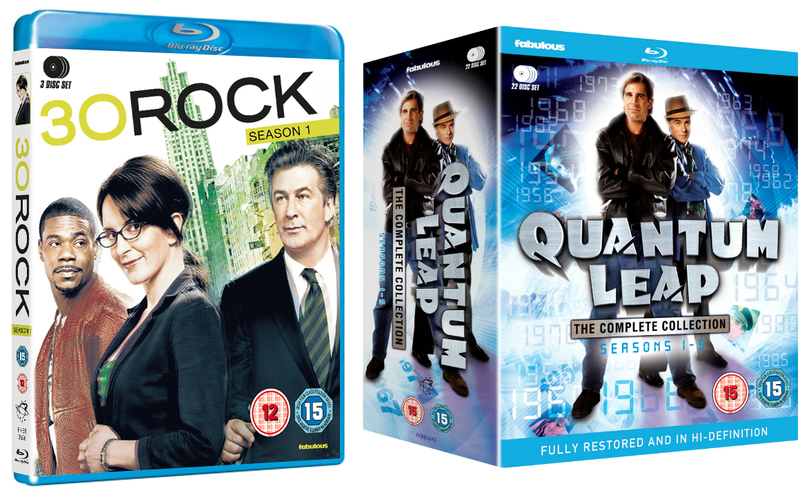 To mark the release of Quantum leap on 29th January and 30 Rock, out now, we’ve been given 1 set of both to give away on Blu-ray. Liz Lemon (Tina Fey) is the head writer of The Girly Show but her life is turned upside down when brash new network executive Jack Donaghy (Alec Baldwin) interferes with her show, bringing the wildly unpredictable and mentally unstable Tracy Jordan (Tracy Morgan) into the cast – renaming it TGS with Tracy Jordan. Now it’s up to Liz to manage the mayhem and still try to have a life. Physicist Sam Beckett finds himself trapped leaping through spacetime with his holographic guide Al during a time travel experiment. Beckett takes the place of a different person in a different time period each week where he and Al have to correct historical mistakes before moving on.